For today’s deals roundup, we have handpicked some of the best tech deals available on Amazon. The listed products span across categories of earphones, speakers, mice and more. Whether you’re on the lookout for a pair of headphones or a portable speaker, we’ve got you covered. 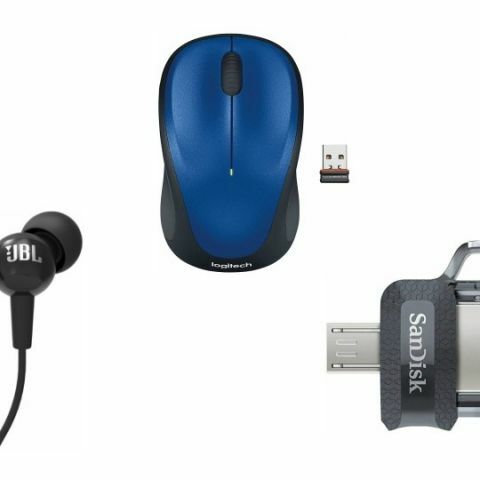 On Amazon, we have found some considerable deals on products from brands like JBL, boAt, Sennheiser and more. The JBL C100SI In-Ear Monitors feature an in-line microphone and remote, which lets you pick up calls and easily manage audio tracks. Click here to buy. The Tagg Inferno in-ear wireless headphone comes with an IPX4 rating. The headphone is Bluetooth 4.1 enabled and claims to deliver battery life of up to seven hours. Click here to buy. The Logitech M235 mouse works on the 2.3GHz wireless band, which works from a distance of 10m from the device it is connected to. As per the company, its battery can last a year without needing to be changed. Click here to buy. The Logitech B170 Wireless Mouse works up to a distance of 10m from a connected device. The mouse is compatible with both the Windows and Mac. Click here to buy. The JBL Go Portable Bluetooth speaker features a built-in mic that lets you attend calls when your phone is connected to it. As per the company, the speaker can deliver up to five hours of audio streaming on a single charge. Click here to buy. The Sandisk Ultra Dual OTG Pen Drive features USB 3.0 connectivity. It features a retractable design with dual-micro USB and USB 3.0 connectors, which lets you transfer files from your PC to smartphone easily. Click here to buy.